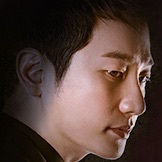 Cha Woo-Hyuk (Park Si-Hoo) is a prosecutor. He will do anything to take revenge. Cha Woo-Hyuk meets married actress Han Jung-Won (Jang Hee-Jin), but he falls in love with her. Han Jung-Won's husband is the son of a chaebol family. 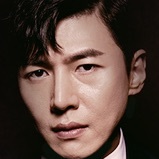 Cha Woo-Hyuk then faces Han Jung-Won as a prosecutor. She is the suspect in the murder of her husband. 3 teaser posters for TV Chosun drama series "Babel." Milagros Llauger Apr 15 2019 7:06 pm I gave it a ten. The last time I saw a drama with this kind of intense emotional ride was "Money Flower" with Jang Hyuk. From the beginning to the end I was at the edge of my seat. Jang Hee-jin was stunning in her acting and beauty. Kim Ji-hoon's part was not long enough, but he left a strong presence as the cruel husband. 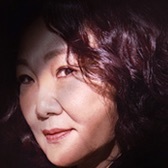 Kim Hae-sook was one of the best sociopath's I seen in a long time. She was fabulous. Song Jae-hee transformation as this weak mama's boy to becoming his own person was an award winning performance. Park Shi-Hoo will always be my first bias, when I first started watching K-dramas. Like Lee Joon-gi he has one of those beautiful, handsome faces......on top of that he can act! The ending with Your My Everything" just tugged at my heartstrings. Alex Mar 31 2019 10:06 pm Whose the child at last? Fan of this drama Feb 25 2019 6:06 pm Awesome drama and very intense screenplay. Emotional rollercoaster. Fan of this drama from very episode 1. This keeps getting better and better by every episode . Simply exceeds expectations. Not to mention, Cast is fantastic. Wiee Feb 18 2019 5:50 am The girl looks like park bo young ? Ms.Wonderful Feb 12 2019 3:34 pm I am fan of Jang Hee-Jin. I really her mind blowing performance in this drama. Watching just for her. She is not only elegant and ethereal but also talented. Gabriel Feb 09 2019 8:58 am Loving this drama series so far. Jang Hee-Jin is killing it in her role. 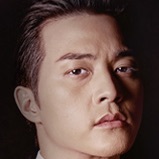 Pamela Kay Feb 04 2019 12:44 pm Kim Ji-Hoon is being killed off way too soon. I hated seeing him as a villain cause I love the actor.. They could have had him in a few more episodes would have been all right with me.. I do like the drama so far. I am also a big fan of Park Si-Hoo. This drama seems to have a lot of twists and turns. AC Feb 03 2019 10:02 pm Oh my gosh!!! Loving this drama! So many twists! Cannot wait for more episodes to come out! MB Esplana Jan 30 2019 11:43 am The end of the first episode leave me with a big question mark? Like how come? So i'm excited to watch the next episodes. 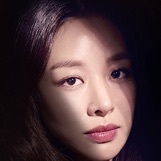 Victoria GR Alaban Jan 28 2019 6:10 am I expect this drama to be exciting and interesting ...the actors and actresses are known for their good acting. 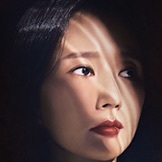 ilknur Jan 27 2019 11:52 am I just started watching episode 1.I'm really really so many loved .. mystery and suspense! Park Si Hoo and Babel Fighting ! Titanus Jan 27 2019 5:06 am She's one of my favorite actresses and I was excited to see her as the lead, but not with that counterpart. This is a huge disappointment. Fundi Jan 27 2019 2:11 am I am really looking forward to this series and hope it's gonna be spellbound. PSH is one great actor who gives any role he portrays his best! ....Always! Carpe Diem! Shy shy Jan 07 2019 3:20 am I will definitely watch it for Jang he Jin. she is phenomenal actress but underrated. I will definitely support her by watching all her dramas. All the best unnie. shayne lee Jan 04 2019 5:14 am When will it be aired.... I am so eager to see its first episode. Barracuda Nov 07 2018 11:26 am That synopsis!!! I must watch!!! Sena Nov 06 2018 11:12 pm Oppa glad to see you working hard!! Shandy Oct 31 2018 2:21 am Im kinda confused with the Synopsis OMG. But ill watch this because of Park Si Hoo Oppa.